May her spirit rest in peace! 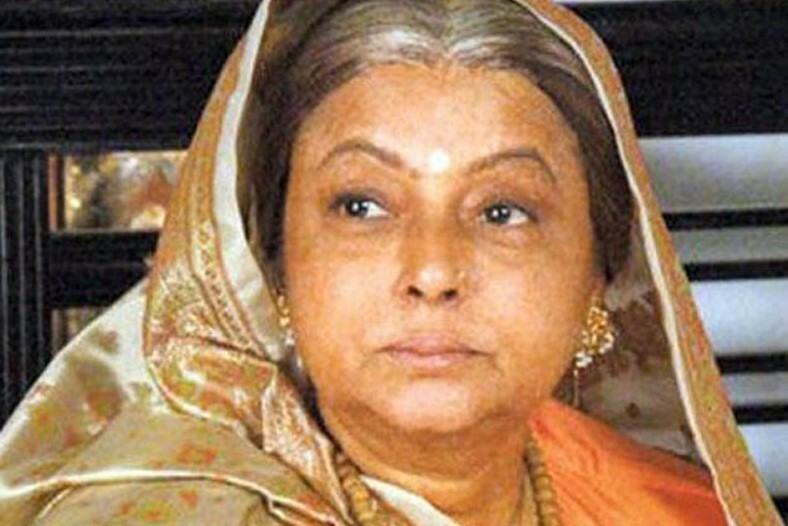 New Delhi: Veteran film and TV on-screen character Rita Bhaduri left this world for her eminent house Tuesday. She was experiencing a kidney infirmity and endured a heart failure toward the beginning of today. Bhaduri passed away today morning in the wake of anguish heart failure at Sujoy Clinic in rural Juhu. She was in the healing center from the most recent two weeks. "She was experiencing a kidney illness and organs had turned out to be frail. She passed away because of heart failure at around 1.45 am," her niece Smaller than expected Bhaduri told PTI. Noted performing artist Shishir Sharma took to his Facebook account and broke the news. She influenced her widescreen to make a big appearance with 'Teri Talash' in 1968 and after that went ahead to star in a few movies. In 1974, she highlighted in Malayalam motion picture titled 'Kanyakumari' inverse Kamal Haasan. It was last's introduction in Malayalam films as a lead and he even packed away his first Filmfare Honor for the part. The famous performing artist featured in a few movies amid between the 70s to 90s. Her most striking exhibitions have been in a hit film, for example, 'Sawan Ko Aane Do' and 'Raja' to give some examples. She even got a Filmfare Honor designation for Best Supporting Performing artist for her demonstration in 'Raja'. She had an important impact in 1975 exemplary 'Julie' as her closest companion. The melody 'Yeh Ratein Nayi Purani' got her tremendous acknowledgment. Having examined silver screen in the Film and TV Foundation of India (FTII), Pune, the exemplary performer worked in more than 70 films and a few mainstream network shows. On-screen character Zarina Wahab was her batchmate at FTII. She was a piece of Sarabhai versus Sarabhai, Choti Bahu, Kumkum, Khichdi to give some examples. Rita Bhaduri was as of now found in Program Nimki Mukhiya where she assumed the part of a grandma.